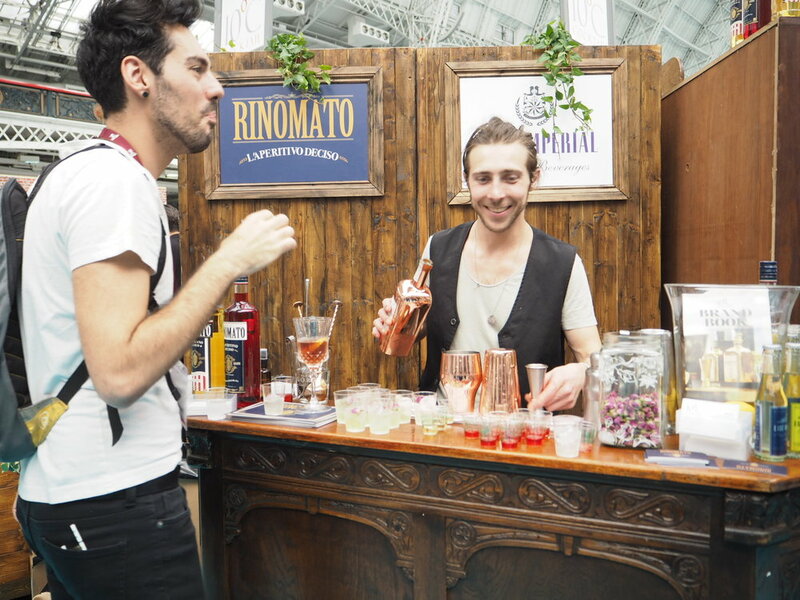 Imbibe Live is an annual exhibition and celebration of the drinks industry, attracting almost 12,000 attendees and over 1,000 brands, and Quirky Group were excited to be part of it for the second year in a row. 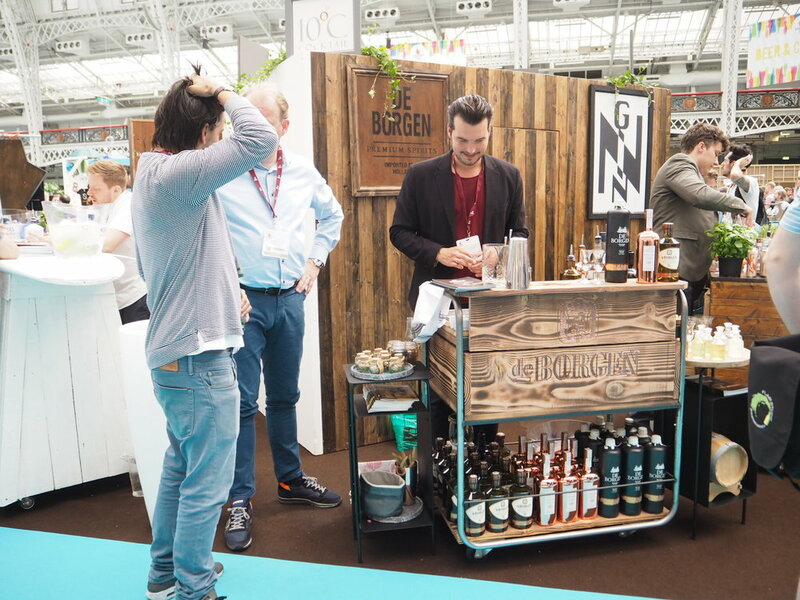 We were delighted to be able to help several brands with their stands at the exhibition. We worked with 10 Degrees C to create a large stand to promote five of their brands, including De Borgen, Rinomato, East Imperial and Nordes. 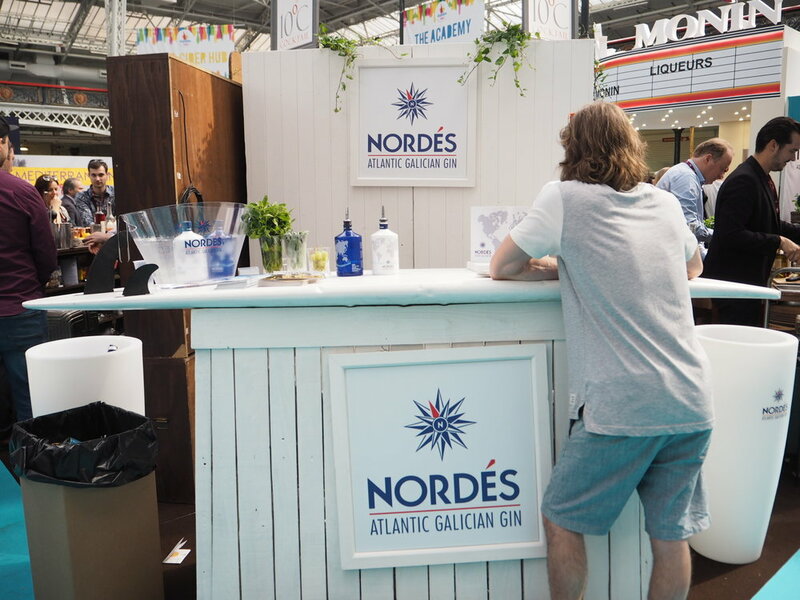 The four-sided stand incorporated a room in the centre acting as storage space, allowing each of the walls to promote the different brands. 10 Degrees C also hired three of our sampling bars for the occasion, including our Surfboard Bar, Cocktail Bar, and a bespoke wooden bar, so that each brand had its own distinctive look.